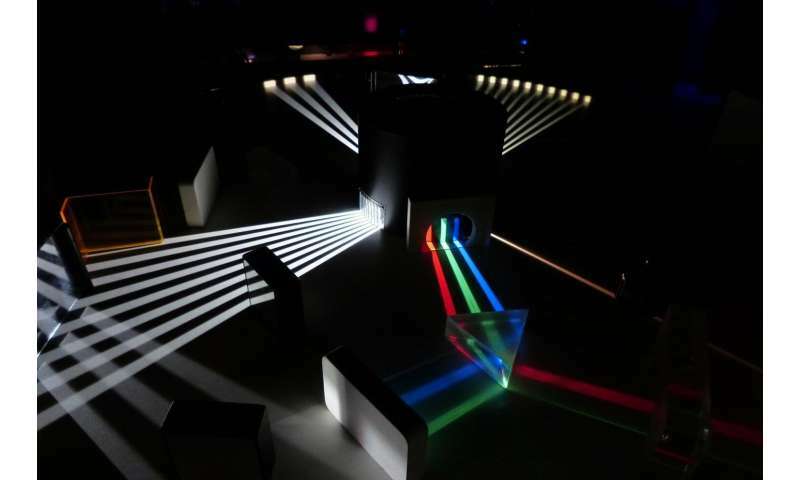 Structured light, created by generating and applying light to a surface, is important in such applications as 3-D scanners, dual photography and microscopic technology. A new study has demonstrated a method that produces novel light beams from synchrotron light sources, opening up a new way to generate X-ray beams. A team of Japanese scientists led by Shunya Matsuba, an assistant professor at the Hiroshima Synchrotron Radiation Center at Hiroshima University, has shown that structured light, in the form of a vector beam (light beams whose polarization direction rotates around its axis), can be produced from the superposition of two optical vortex beams (beams of lights that contain a point of zero intensity, forming a spiral phase structure.) The findings were published in the journal of Applied Physics Letters in July 2018. The scientists based their method on a technique that produces circularly polarized light from two linearly polarized beams whose polarization directions are orthogonal to each other. In synchrotron light sources, this method has been applied to uniformly polarized beams coming from two undulators. An undulator is a device that emits quasi-monochromatic light with various polarizations. Katoh says, "The next step of this research is to demonstrate the generation of vector beams of other types, for example, radially polarized beams. Our ultimate goal is to control all the optical properties of synchrotron radiation, such as wavelength, coherence, spatial, temporal structures and so on." This will pave the way for new opportunities in many fields, including X-ray diffraction, scattering and absorption/emission spectroscopy due to the new method of generating structured light that has been demonstrated in this study.